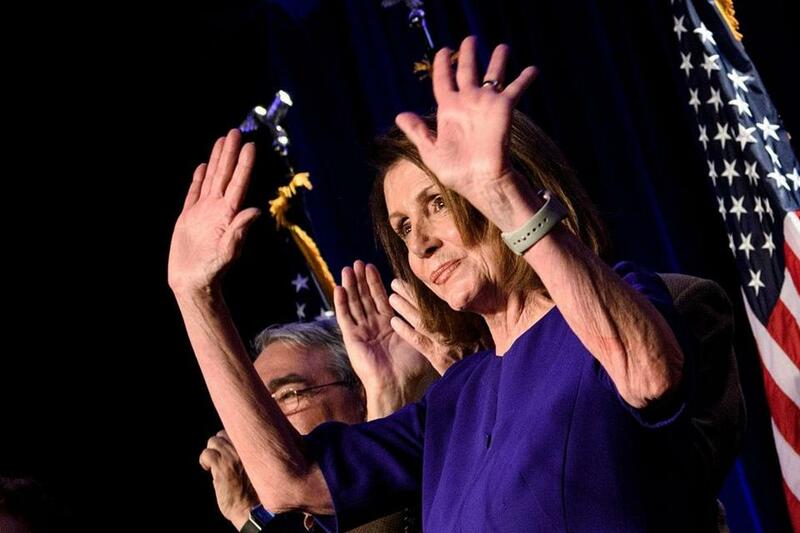 House minority leader Nancy Pelosi celebrated Tuesday night as the Democrats were poised to take control of the House. Two years ago my wife and I moved from Cambridge to Charleston, S.C. At the time, many of our Cambridge friends asked us how we could move to “enemy” territory. Well, yesterday, while Massachusetts was voting predictably blue, my congressional district, the South Carolina First, went from red to blue, and Trump’s preferred candidate, Katie Arrington, got beaten by a newcomer, Joe Cunningham, who campaigned on issues that were of particular interest to the citizens of Charleston and its environs. Going forward, the Democrats can win if they stick to issues that are of interest to voters in individual districts and not try to push some one-size-fits-all national agenda. If the Democrats can flip a South Carolina district, then almost anywhere else is possible. I am proud that my vote counted down here. I think another criterion for people considering retirement is where their vote might make a difference. I believe ours did. Congratulations to the Democrats for securing the House. Now, act! Despite the pundits’ cynical predictions that the next two years will be a stalemate in terms of political action, don’t you believe it. Go forward on health care and education and, by degrees, and taking your cue from Robert Mueller, keep your cries and maneuvers for impeachment concealed until the proper time. Democrats, you gained much of what you desired. Now, spend your political capital wisely and restore sanity and peace to this nation. So a significant majority of Americans repudiate Donald Trump and the racist responses he encourages. Let’s see now how well our system of checks and balances really works. It’s well past time to turn up the heat under this ill-informed, misogynistic, racist, and rabble-rousing president. Congress, do your job. Ever since the 2016 election, I have been forced to grapple with the reality that we are a country with a short memory. I’m only 27, but I have seen how hate and fear destroy. I have visited the death camps of Auschwitz-Birkenau and the site of Pearl Harbor. I have seen the devastation of the bombs at Hiroshima. These lessons should be more than powerful enough to keep us from making the same mistakes again. And yet, the rhetoric that immigrants are to be feared is still strong. Anti-Semitism flourishes. We sow hate. Author Brene Brown says, “People are hard to hate up close.” If you keep immigrants at arm’s length and never acknowledge their humanity, hate can flourish. President Trump may no longer want the huddled masses, but the Statue of Liberty still stands, reminding us of the hope that brought many of our families over from other places not so many years ago. Indeed, it was only 110 years ago that my great-grandparents made their own journey. Many of us want those huddled masses, yearning to breathe free, to find the hope that they seek in this country. We are not afraid of them.